A memorial to the Royal Leicestershire Regiment will be dedicated at the National Memorial Arboretum in Staffordshire on Saturday 27 September 2014 – the 326th anniversary of the founding of the Regiment. The Regiment was conferred with the title ‘Royal’ by King George VI in 1946 in recognition of its services during World War II, where it was represented by a battalion in every theatre: an almost unique distinction. 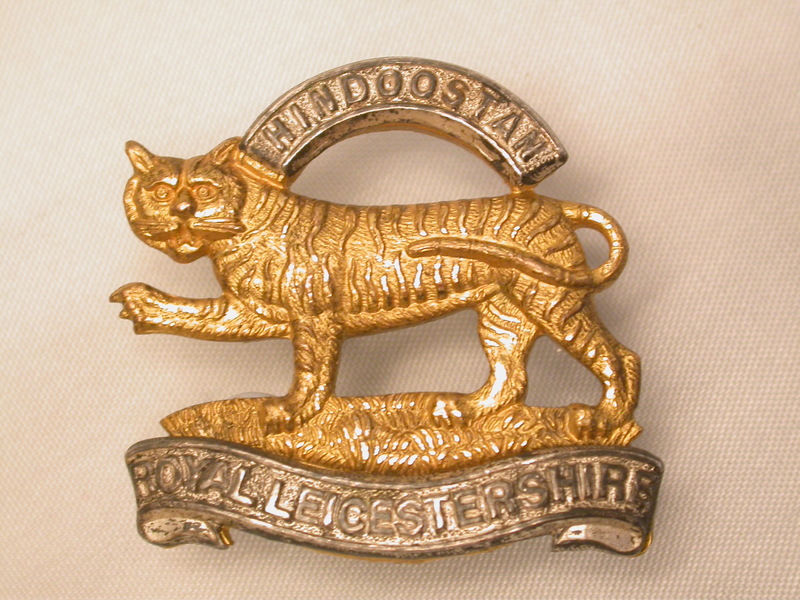 The regiment takes its nickname – ‘The Tigers’ – from its badge, which incorporates a Royal Tiger and the inscription ‘Hindoostan’. King George IV awarded the badge to the regiment in 1825 in recognition of its service in India. The Royal Leicestershire Regiment was awarded 73 battle honours ranging from the battle of Namur in 1695 to the campaign in Korea in 1952. Four members of the regiment won the Victoria Cross. Among them was lieutenant-colonel Philip Bent of 9th Battalion, Leicestershire Regiment, who won the medal near Ypres on 1 October 1917. His VC citation read: ‘For most conspicuous bravery, when during a heavy hostile attack, the right of his own command and the battalion on his right were forced back. The situation was critical owing to the confusion caused by the attack and the intense artillery fire. ‘Lieutenant-colonel Bent personally collected a platoon that was in reserve, and together with men from other companies and various regimental details, he organised and led forward to the counter attack, after issuing orders to other officers as to the further defence of the line. The memorial will comprise a large Irish blue limestone plinth topped by a tiger. To find out more about the Leicestershire Regiment, click here. This entry was posted in Events and tagged 1914-1918, First World War Centenary, Leicestershire Regiment, National Memorial Arboretum, news, UK News, WW1. Bookmark the permalink.